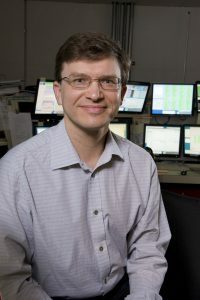 With over 1,400 particle physicists gathering for the International Conference on High Energy Physics in Chicago, which was held from Aug. 3-10, the conference was an opportunity for Tevatron collider collaborations to get together again. 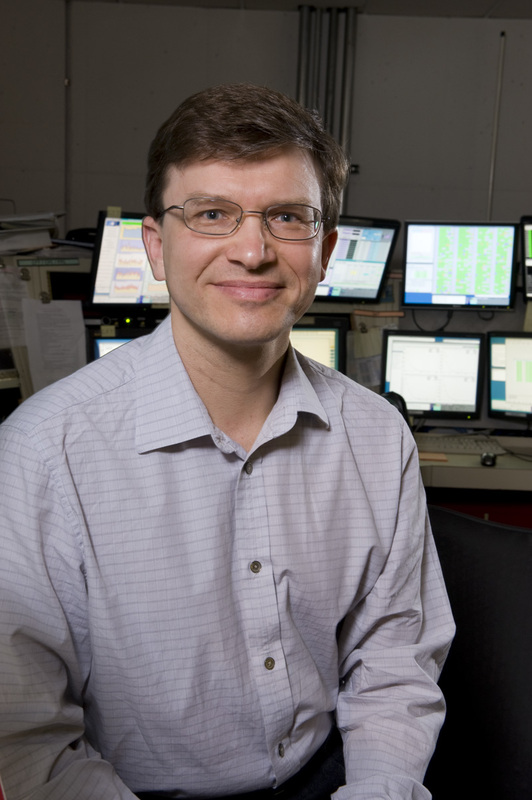 During the lifetime of the Tevatron, more than 3,000 physicists from 30 countries participated in the collider experiments, publishing more than 1,000 articles, including many discoveries and unique measurements of the fundamental parameters of nature. The reunion was on a Sunday, when no conference talks were scheduled. Many came well in advance and posted pictures, notes and other memorabilia on the walls of the room to share precious moments from their participation in the Tevatron experiments. Those who were not able to come sent pictures and notes in advance. The official part of the meeting started with two former spokespersons, Mel Shochet (University of Chicago, CDF) and John Womersley (STFC, UK, DZero) giving opening remarks. Both underlined the excitement of the program, building the largest particle detectors at the time — the 1980s and 90s — with multiple detectors technologies and millions of detection channels, which were followed by many physics discoveries. Attendees recalled the spirit of the “small” collaborations within CDF and DZero, a spirit that was remembered by many and cherished deeply. It drove all of us to work hard and help each other design and build the experiments, collect data, develop reconstruction and analysis software, and finally analyze and publish. This spirit lives not only in the senior members of the collaborations, but in almost 1,000 young scientists who got their Ph.D.s on the CDF and DZero experiments. Those with higher scores received prizes, including the decommissioned parts of the powerful Tevatron detectors and t-shirts from 20 years ago (new and never worn! ), given at workshops for the experiment. 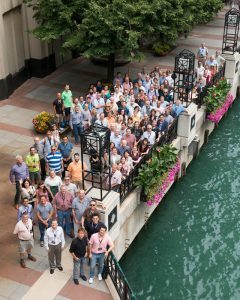 With pressure of winning the quiz over, over 100 reunion participants had fun talking to their collaborators and friends, looking at the photos that were on display and participating in the photo session on the bank of the Chicago River. Not only past memories, but plans for the future analyses and publications have been discussed at the reunion. For ICHEP 2016, the Tevatron experiments presented a dozen new results on the full Tevatron data set. All of them were deemed important enough to be mentioned (some more than once) in ICHEP plenary presentations. Many of these legacy analyses are the final combinations of the results from the two experiments that will remain in the textbooks for years to come as the results from the highest-energy proton-antiproton collider. Thank you Tevatron! View photos from the Tevatron reunion.